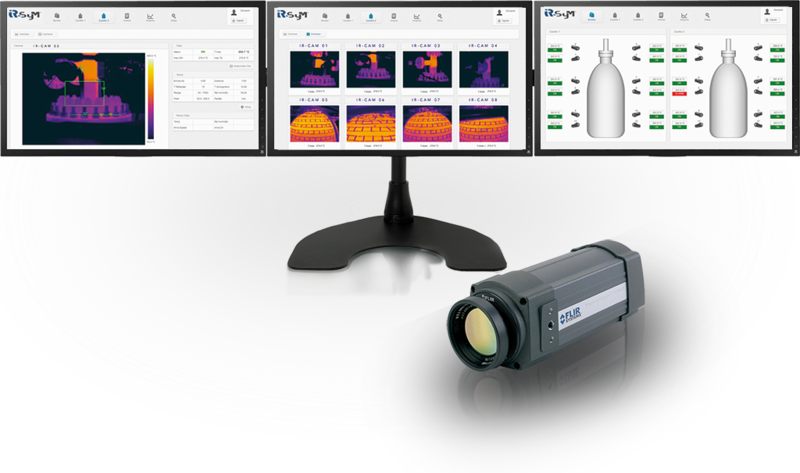 The integrated hardware/software solution for the management of thermographic systems, aimed at the monitoring of critical areas and productive processes and designed to work uninterruptedly for very long periods without the intervention of any operator. 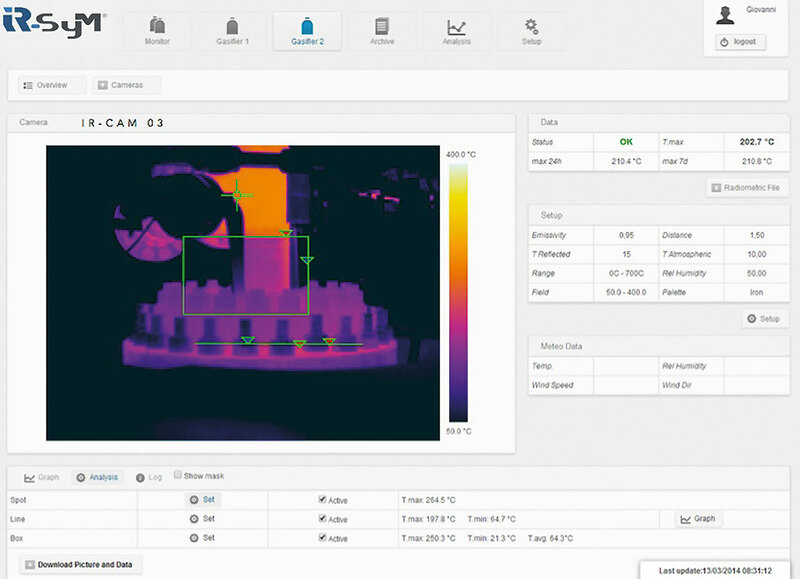 IR-SyM® allows the automatic management of the main problems that can be identified by means of thermographic sensors. It is designed to adapt to already existing systems, therefore it is customizable depending on the specifications given by the end user. The whole system, composed of a data processing system and a set of infrared sensors, is optimized for operating with harsh environmental conditions, such as marine ones, and within explosive atmospheres, by employing ATEX II 2G Ex px d IIC T6 equipment. IR-SyM TD: for the temperature monitoring of any particular process and for the storage of RAW radiometric data. IR-SyM VOC: for the detection and the monitoring of VOC leaks in the atmosphere that are made visible thanks to Gas Finder thermal cameras. IR-SyM SEA: monitoring of marine areas for the detection of possible hydrocarbons spills. IR-SyM FD: detection and monitoring of fire in areas at risk. IR-SyM GA: management of thermal sensors for monitoring areas that are subject to landslides. 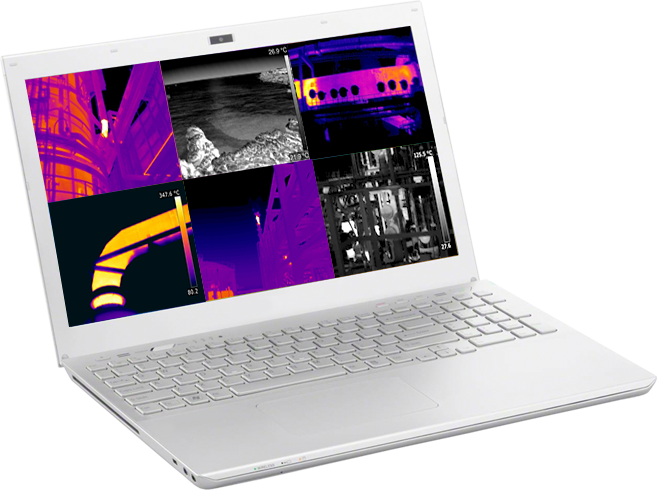 Compatibility with FLIR Systems thermal cameras. Stainless steel enclosures with thermoregulation system (optional). Thermal window optimized for the application. II 2G Ex px d IIC T6 equipment certification (optional). Interface: web interface usable through the company intranet. 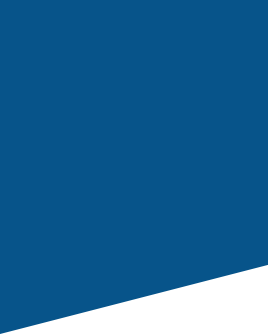 The system is supported by any browser compatible with HTML5 standards. Configuration and management: the whole hardware can be managed through the web interface. 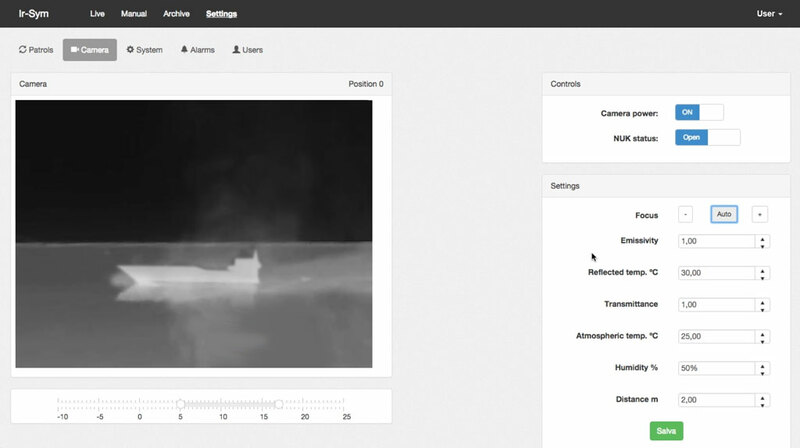 Alarms: they can be set on the entire frame or only on part of it thanks to a masking function. It is also possible to set simultaneous alarms. Redundant system: up to three different alarm channels can be set up. Automatic management of the configuration: the system periodically checks that the parameters configuration is correct and, if not, modifies it with the acquired environment data. Data storage: periodic storage of data with different acquisition speed depending on the alarm state, saving of historical data and archives pruning based on the hardware dimensions. 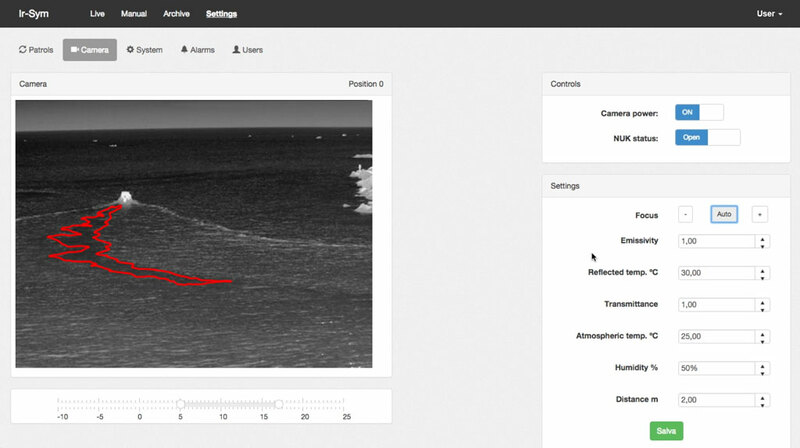 Analysis of the viewed area through the use of spots, lines, areas and masks. Automated system for the assessment of the reflected temperature. Real-time analysis of the last acquired thermographic image. Download of the last thermogram in radiometric format. Download of the historical data both in radiometric format and as excel thermal array.